A small knife thats been around for years now, highly appreciated because it is easy to handle and the blade penetrates really well. This is forged from a single piece of stainless steel, and is blocked at the grip by a screw knob situated at the end of the grip. One side of the blade has a smooth cutting edge, the other is partly serrated. 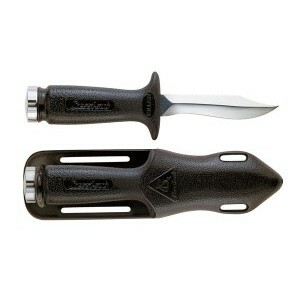 The anatomical technopolymer grip ends at the blade with a thumb tab. The sheath is made from plastic and has a traditional elastic band to hold on the knife and loops to attach the knife to your leg or onto your belt. 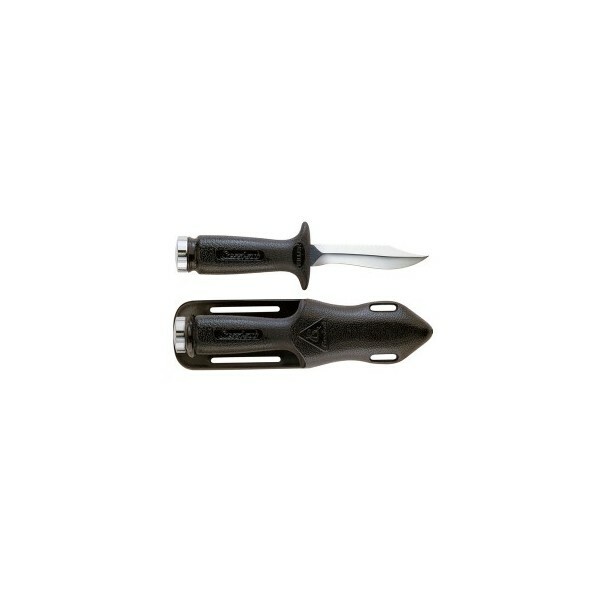 The knife comes with two, standard issue straps to attach it to your leg.